Edge of Leadership has expanded to district-wide in grades 5-12. High 5, with support from C&S Wholesale Grocers, has partnered with the Keene School District to bring Edge of Leadership to every school in the district. In 2012, High 5 began a pilot program in one Keene elementary school. Five years later, Edge of Leadership has expanded to district-wide in grades 5-12. 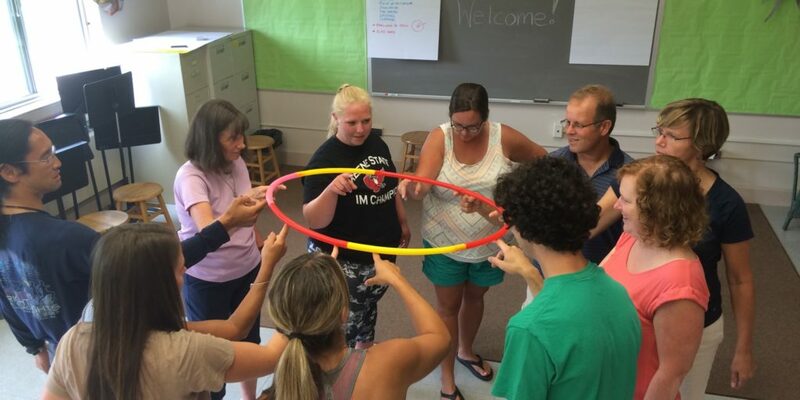 EOL teachers spend the school year in classrooms, working directly with students and helping teachers to use EOL theory to improve outcomes in their classrooms. The EOL program in Keene has become the ultimate demonstration of EOL’s success and showcases the wide spectrum of the application of EOL themes in a variety of programs for youth and adults across the district. Teachers are integrating and reinforcing EOL concepts into their work. Teachers are learning to take a step back to allow students to problem solve. The EOL Elementary School program provides each student in grade 5 with 25-30 hours of program exposure including 2 challenge course experiences and monthly classroom sessions throughout the school year. The EOL Middle School program provides each student in grade 7 with 15-20 hours of program exposure including 2 challenge course experiences and monthly classroom sessions throughout the school year. The primary focus for EOL in the Keene High School is to develop a core Student Leadership Team. Students on this team begin by attending the EOL Summer Program at High 5 Adventure in Brattleboro, VT. From there, the team will set goals and create action plans for coordinating and facilitating community events throughout the year. The team meets regularly throughout the school year.